If it has a unique appearance think design patent. This is the iPhone graphical user interface, US Design Patent No. D687,842. Although the first Patent Act was enacted in 1790, it was not until some 52 years later that the US patent laws were modified to allow for the patenting of ornamental designs. In 1842 a statute was passed to provide for, among other things, the grant of patents for any new and original: (1) design for a manufacture; (2) design for printing on fabrics; (3) bust or statue; (4) impression to be place on an article of manufacture; or (5) shape or configuration of any article of manufacture. Subsequently, in 1902, the design patent statute was amended to define the allowable subject matter simply as “any new, original, and ornamental design for an article of manufacture.’’ This language mimicked the 1887 modifications to the Patent Act relative to infringement, and still closely represents the current law regarding patentability of designs. The first design patent that was issued in the United States was issued to George Bruce on November 9, 1842. Only thirteen design patents were issued in the first year of eligibility. So how many drawings were present in the first design patent issued? OK, this is a trick question. The surprising answer is that there were no drawings at all, which is at least a little bizarre based on practice today. But Mr. Bruce’s design patent covered a new typeface, which could be, and was, described in words rather than by claiming the ornamental design as shown, which would be what you would do today. Today, a description in a design patent application is not necessary, although not strictly prohibited. Furthermore, the rights obtained in a design patent today are entirely tied to the drawings. Indeed, the USPTO Design Patent Application Filing Guide explains: “The drawing disclosure is the most important element of the application.” That is why high quality, exceptionally detailed drawings should always be filed in a design patent application. A perspective view from U.S. Design Patent No. D576,513. The drawings in a design patent application should contain a sufficient number of views to disclose the complete appearance of the design claimed. This generally requires at least six separate views (or angles), which should include drawings of the front, back, top, bottom, left and right. These six views should be considered essential unless one or more would be identical. For example, with a typical golf ball it would be identical from every angle so only one view would be required. A perspective view, which shows the invention in context showing more than one side or angle at a time are suggested by the Patent Office, but not required. A perspective view is shown to the right. Generally speaking design patents are viewed as weaker than utility patents, but that is not really the entire story. A design patent protects only the way something looks, not the way it functions. That is why it is frequently said that design patents are weaker than utility patents. It is better, however, to say that you need to be fully well aware of the protection you are going to obtain with a design patent. If you need protection for the way your invention operates then a design patent is not the right form of protection. But for many products what makes them desirable is the way they appear, not necessarily the way they function. In that situation a design patent is certainly appropriate. It is also appropriate to file a design patent that seeks protection on the way something looks simultaneously with filing a utility patent application (i.e., provisional or non-provisional patent application) that seeks to ultimately protect functionality. Further, obtaining a number of design patents on various alternative designs can and does provide a nice portfolio. Design patents fell out of favor in the past because they were promoted by non-attorney services who did not explain the difference between a design patent and a utility patent. 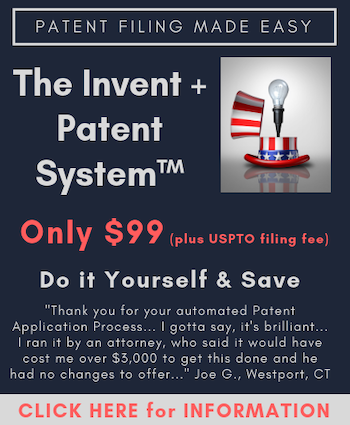 Inventors were funneled toward a design patent in virtually all instances even when what they needed was a utility patent application. Thus, design patents received a bad name. That was never appropriate because it wasn’t any problem with design patents, but rather people expecting to get more from a design patent than the rights granted would reasonably allow. In 2008 the Federal Circuit changed the design patent infringement test (see here and here) making it one about substantial similarity, which made it easier (relatively speaking) to prove design patent infringement. Cases since have shown mixed results, but the law is certainly more favorable to the design patent owner and the uncertainty is actually a benefit for the patent owner because infringers cannot merely ignore design rights. Further, a design patent may give you all you need to get infringing products removed from online marketplaces such as eBay or Amazon.com. Look for a forthcoming article on that topic specifically. Design patents are definitely growing in popularity, as they should be. The chart below shows design patent activity at the United States Patent & Trademark Office from 1975 to 2013. The only question I have is why aren’t even more design patent applications be filed? Design patents are relatively cheap to obtain (at least compared to utility patent rights), they are easy to obtain and they last for 14 years from issue without the need to make additional maintenance fee payments. The number of design patent applications filed, while on the rise, should be much higher. Actually, the term for design patents was lengthened to 15 years for design applications filed on or after 12/18/2013 as a part of the implementation of the Patent Law Treaty. Gene, two colors on the graph – what do they stand for? Green for filed and blue for granted? Regarding the term change, here is a link to the law http://www.uspto.gov/patents/init_events/pct/PLAW_112publ211.pdf The USPTO MPEP is not up to date on the term change. Wow. All sorts of excellent information here … I love learning the history behind things … and length is increased to 15 years… that’s kind of good to know. … Mr. Anon has a good point too. What do the lines represent? I’m guessing one is number of design apps filed and the other is number issued? Gene, maybe you can explain to me the difference between a design patent and a copyright for a design. I’ve never seen the need for a design patent. What am I missing? The big difference is that you cannot obtain a copyright on something that has a function. Copyright is really for non-functional art. For example, it is well established that you cannot obtain a copyright on a costume because a costume is useful as clothing. Design patents can and are obtained on inventions that have a functionality. The design patent, however, only covers the way the item looks, not how it functions. I would add that the type of protection offered is vastly different as well. Patent protection is deep, but much more time limited. Copyright protection is shallow but far longer lasting. In addition to the points Gene made, copyright protection is also ‘compromised’ (in comparison to the rigor of patent protection) by Fair Use defenses as well as by independent creation. Patent infringement is a strict liability offense.